Try one of our favorite iced tea mixes, Pineapple Mango Green Tea. Brew for 6-8 minutes as a concentrate, add ice, and sweetener of choice (optional). Drink and enjoy! 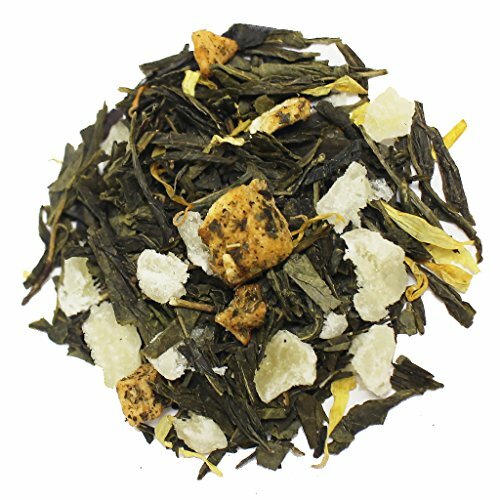 This is also a really good hot tea, but we must admit iced Pineapple Mango Green is a personal favorite because of its rich fruity flavor and moderate caffeine level. Hand mixed with ALOHA in Honolulu, Hawaii! Bring a bit of the islands home with our Hawaiian Loose Tea blends.The Tea Farm- Serving premium loose tea since 2001. Based in beautiful Honolulu, Hawaii! Measure the desired amount of tea leaves and place into a teapot or teacup. Use approximately 1 tsp or 2.3g of tea leaves for every 8oz (1 cup) of water. Bring the water to a rolling boil at 180°F. Add boiling water and let the tea leaves steep for 2-3 minutes. Place 2 tsp or more of loose tea leaves into desired brewing vessel. Jug glass preferred. Add boiling water and let the tea leaves steep for 6-8 minutes. Strain or pour tea into a second teapot if desired. If strained ice and sugar can be added. If poured into a separate tea pot, place ice in cups and pour hot tea over top. PERFECT COFFEE SUBSTITUTE - The Tea Farm teas are a delicious and healthy alternative to coffee. DELICIOUS & RICH FLAVOUR - Can be served with or without milk and sugar as a hot or iced tea. If you have any questions about this product by The Tea Farm, contact us by completing and submitting the form below. If you are looking for a specif part number, please include it with your message.